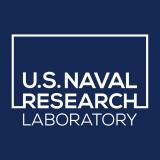 Dr. Kevin Wagner is a member of the Radar Division's Surveillance Technology branch at the Naval Research Laboratory. He achieved a doctor of science degree in electrical engineering at George Washington university while studying proportionate-type LMS algorithms. Dr. Wagner's work at NRL has focused on electronic protection and machine learning applied to radar problems.